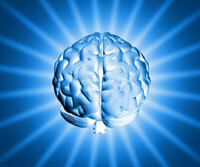 Home » Brain Fitness » Does Brain Training Work? Brain training games, programs, classes, and books are everywhere. Society’s is becoming increasingly competitive, and everyone seems concerned about aging, Alzheimer’s and dementia. So naturally there is no shortage of companies and “experts” trying to cash in on the brain training methods to help you boost your mental fitness. But is there really anything you can to boost (or keep) your brain power? Websites and computer games that promise they can help train your brain and boost your mental capacity are everywhere. Games like Nintendo Brain Age are wildly popular and have sold millions of copies. They are typically promoted as entertainment only, and don’t make any direct claims about your mental fitness. But the implication is clear – plays these games and you’ll increase your brain fitness. But not surprisingly, it turns out that these games and programs likely don’t make any difference in your mental power. A recent study by the journal Nature found no conclusive evidence that brain training works. They ran a six-week study with 11,430 participants and had them us an online website that had brain training games just like the commercially available ones in the market. They found that while people got better the specific games, these improvements did not transfer to improved ability in any other tasks. In other words, they got much better at each specific game, but they were no faster at learning a new game. Naturally, the makers of these programs disagree. They argue that the testing was too brief and unfocused. Study participants each completed about 24 ten minute sessions. David Moore from MindWeavers and Jody Peake from CogniFit both say they are not surprised that researchers found no cognitive improvements. They say that participants did not put in enough highly concentrated effort, and that no one should expect results after just a few hours. And even the study’s leader, Adrian Owen, acknowledges that more research may be needed to confirm his initial findings. The effectiveness of games and programs is questionable, so where does this leave us? Well, one thing you can do is exercise. Barbara Strauch, author of The Secret Life of the Grown-up Brain, says that brain research across the board – from humans to rats – has found that vigorous exercise clearly improves cognitive function. Multiple studies have found that the brain – just like your other “muscles” – needs and thrives on oxygen. Getting a good workout and exercising your cardiovascular system gets you blood pumping throughout your entire body, including your brain. So, want to improve your mental fitness? The most proven approach is to work on your physical fitness! In my opinion, brain games actually work OK. Especially games truly based upon neuroscience research. I do feel that they help me. I try to use them for at least 15 minutes each day. As CEO at Posit Science I want to weigh in on the question of evidence supporting the right type of brain training. There are now over 60 published studies from institutions like the Mayo Clinic and John Hopkins on our technology showing measurable and real-world improvements. The IMPACT study, http://www.scribd.com/doc/17888028/Smith-2009-IMPACT-Study, enrolled nearly 500 people in a randomized, blinded, and controlled experiment. That study used the Brain Fitness Program (one of our products) and showed significant improvements in participants’ memory when measured by a standardized test. Ongoing analysis of data from the 2,800 person ACTIVE study, originally published in the Journal of American Medicine, has shown a number of improvements in real-world measures such as depressive symptoms over a five-year period from speed-of-processing training, technology founding two of our products. And investigators have shown that speed-of-processing with UFOV® technology brain training reduced car crash risk and increased the likelihood of continued driving. In addition to the quantitative back-up, we receive customer stories about improving reaction time on the tennis court, driving with more confidence, learning a language and remembering new friends’ names. The BBC study showed how difficult it is to build brain training products that do make a difference. The good news is … [that some do seem to work].